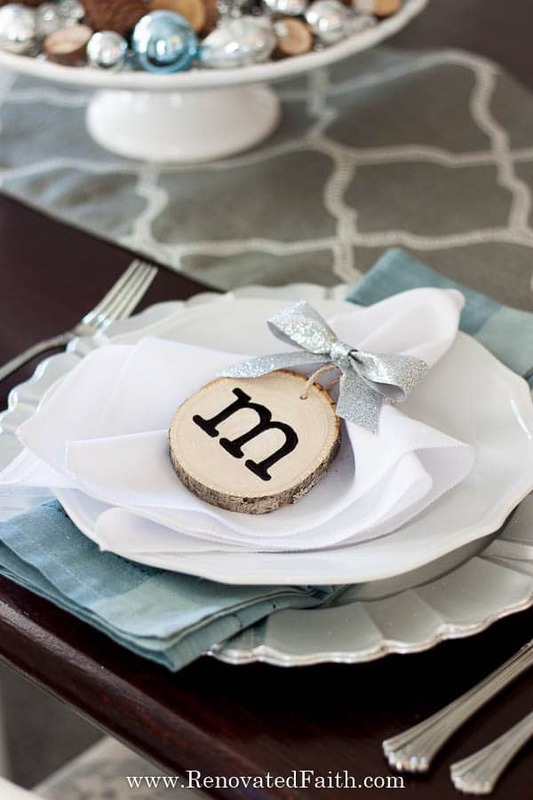 Wood slice place cards add a rustic glam touch to your Christmas table while giving your guests a special gift to take home. 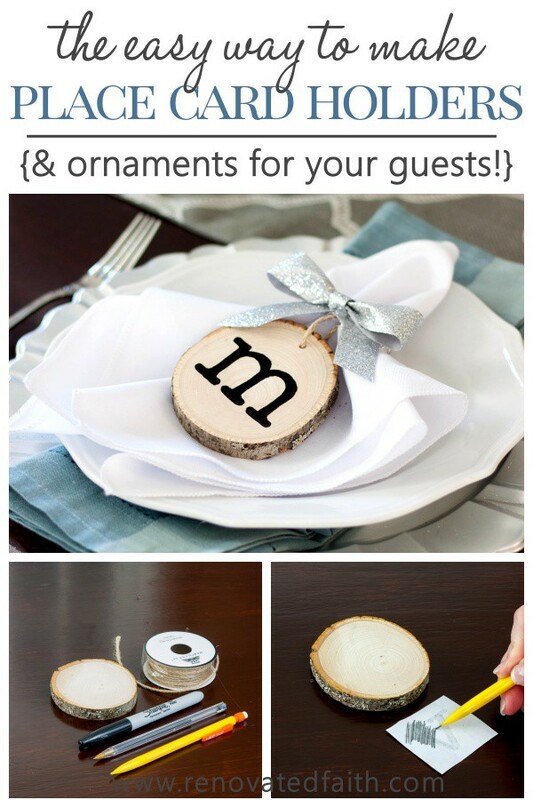 This easy tutorial shows you how to make place cards that also double as personalized wood slice ornaments! This post may contain affiliate links for your convenience at no added cost to you. See my full disclosure here. 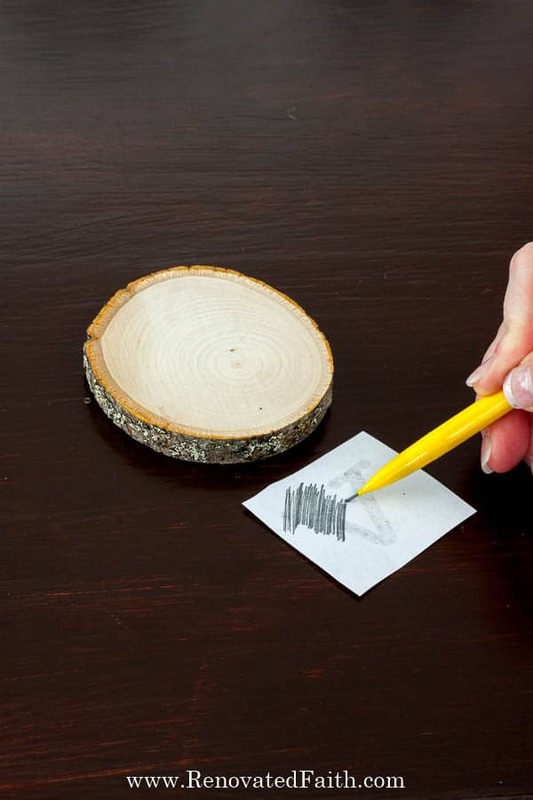 ✅CLICK HERE for the best place to get wood slices that are pre-drilled and are free of dark rings and knot holes! 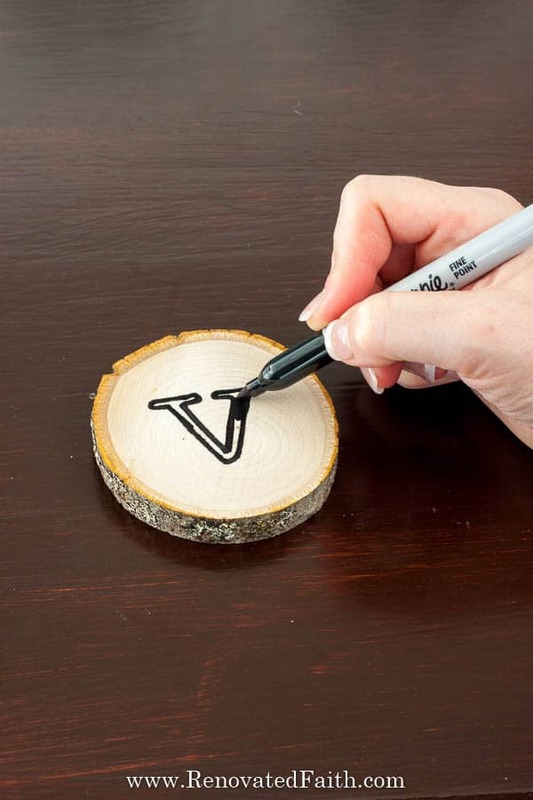 You’ve probably seen these personalized wood slices or ornaments online or in stores, but for much more than you will spend by making them yourself. They are incredibly easy to make with this image transfer method and you can customize with whatever font, monogram or image you want! 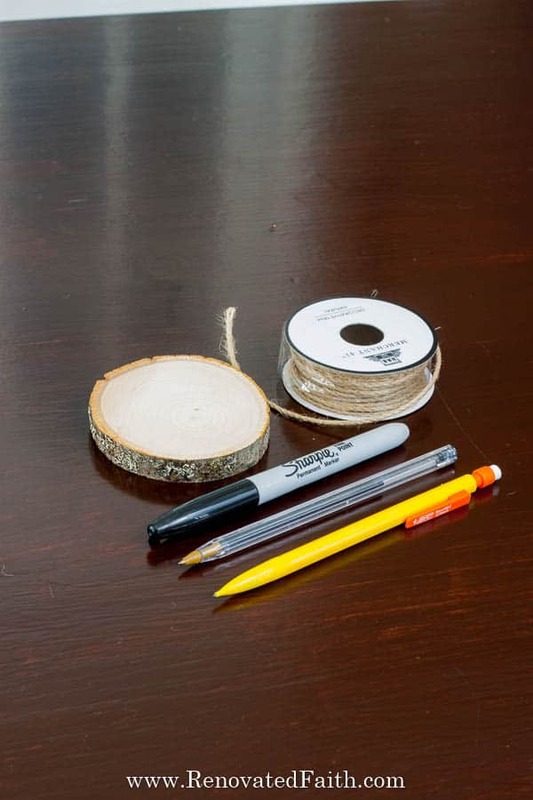 Jute Twine – If your set doesn’t come with jute ribbon, this is a good option. Sharpie Marker, Fine Point – The new click pens are great! Click here for the current price. 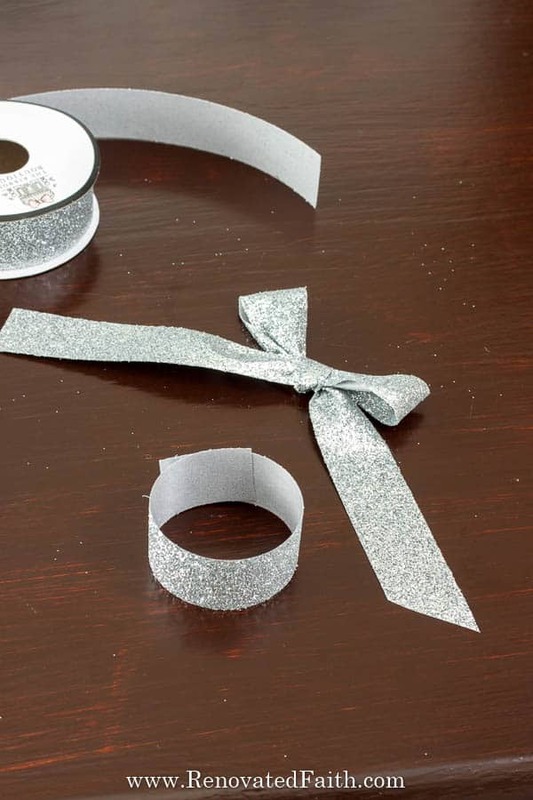 Silver Glitter Ribbon – See similar here. 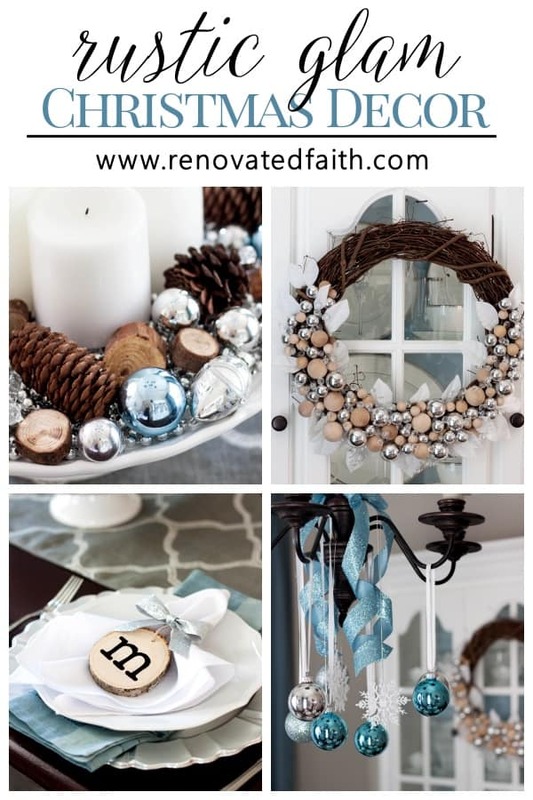 *If you are going to be making a large number of these wood slice placecard ornaments for a church group or Pinterest party, click this link: wood slice ornaments, bulk supply. What are the best type of unfinished wood slices? You might notice online that several types of wood are mentioned for unfinished wood slices. Any will work but you don’t want wood slices with rings so dark that they distract from the initials or wood that has lots of knots. Some light rings are fine and add to the vintage look. Pine, birch, and basswood and are often the best and lightest woods without dark rings. This set of wood slices worked really well for me. Check the current price here. 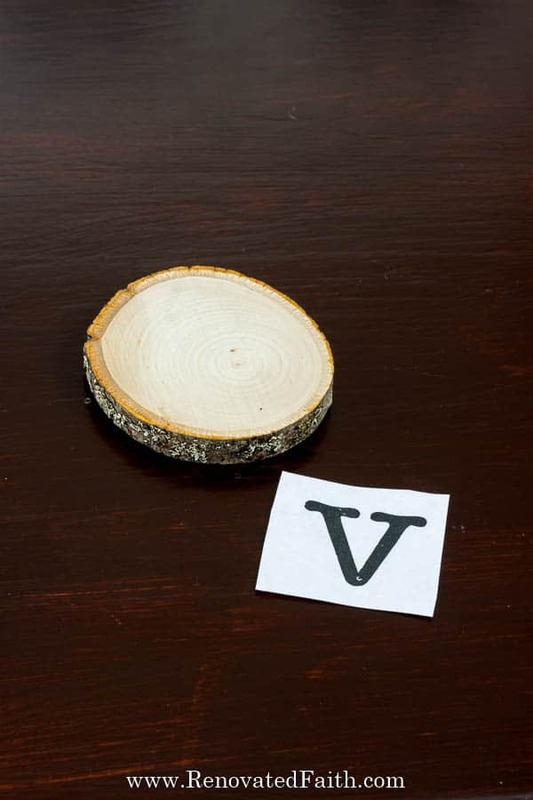 Start by printing out your letters for your desired size for your wood slices. I like using a typewriter font because it’s treat for men and women but mostly, typewriter fonts don’t usually have straight edges, which is very conducive to anything you freehand (or trace in this instance). For my 3.5 inch wood slices I used a typewriter font called Linowrite in a font size of 150-175, depending on the size of your wood slices. I just did some experimenting on getting the right size. You can download Linowrite for free here. Cut them out with some space around each letter. Then flip each over and use a pencil to shade over the backs of the letters. Make sure to shade heavily so it transfers well. You have a lot of flexibility with this project as you can add any text or art as long as you can print it on a computer. 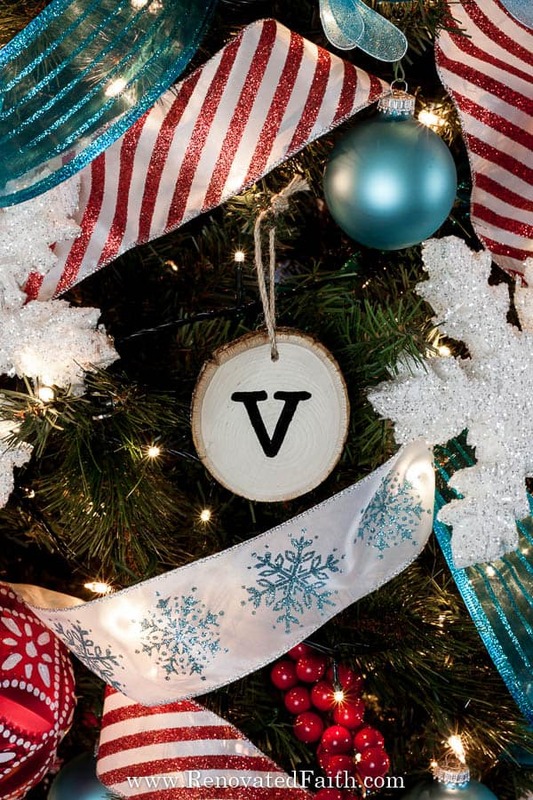 You could even make a monogrammed wood slice ornament or add a graphic. The nice thing about a typewriter font is that it is very forgiving as these fonts don’t have have very straight edges. This makes it easier a lot easier to trace. Now flip it back over and position it on the wood slice so it’s centered. 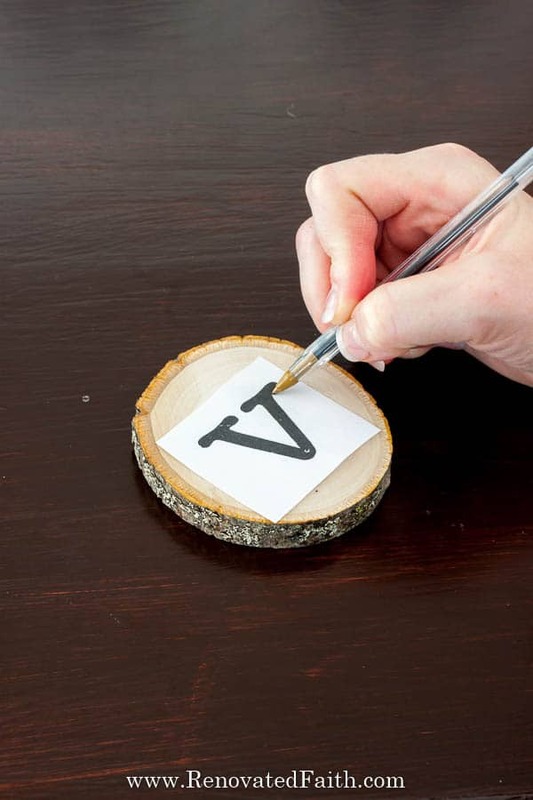 Now, use a ballpoint pin to trace the edges of the letter. Go slowly and put some pressure on the pen while tracing to make sure the pencil lead is left on the wood in the traced areas. Now that you can see the outline of your letter in pencil, retrace and fill in the letter with your sharpie. 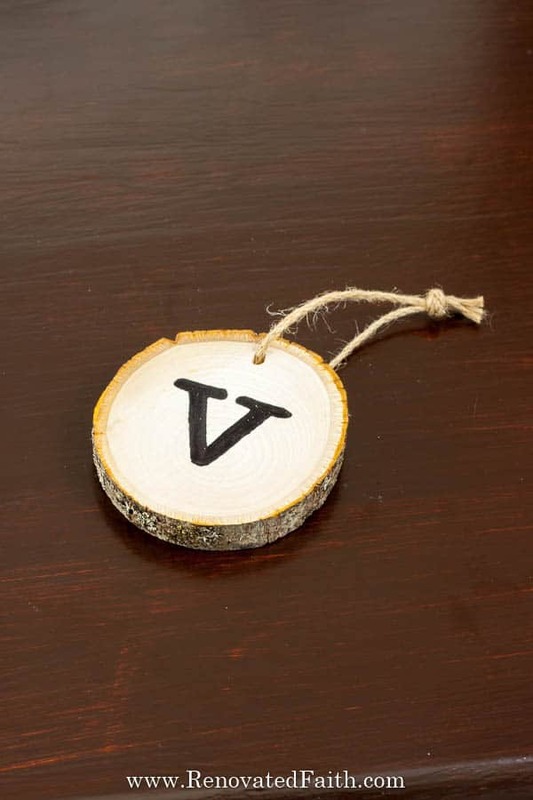 Add your jute hanger and you are done with the ornament and wood slice place card holder. 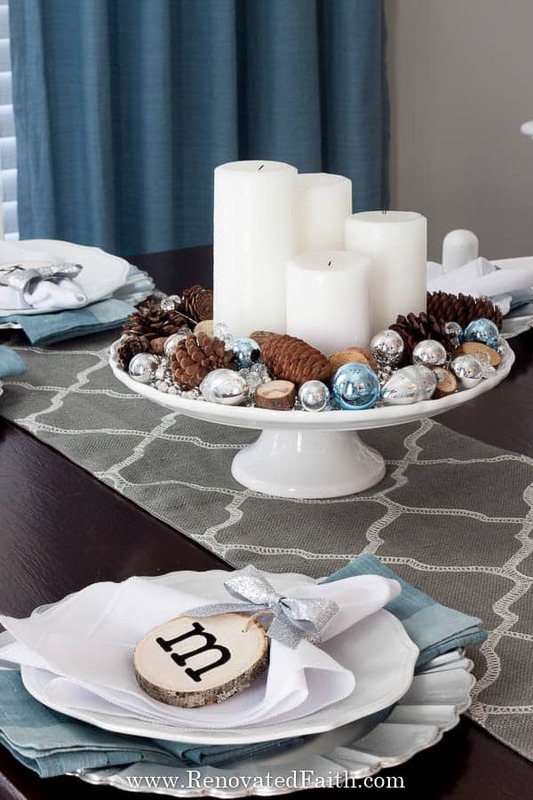 Now you can use ribbon and hot glue to make a simple napkin ring. 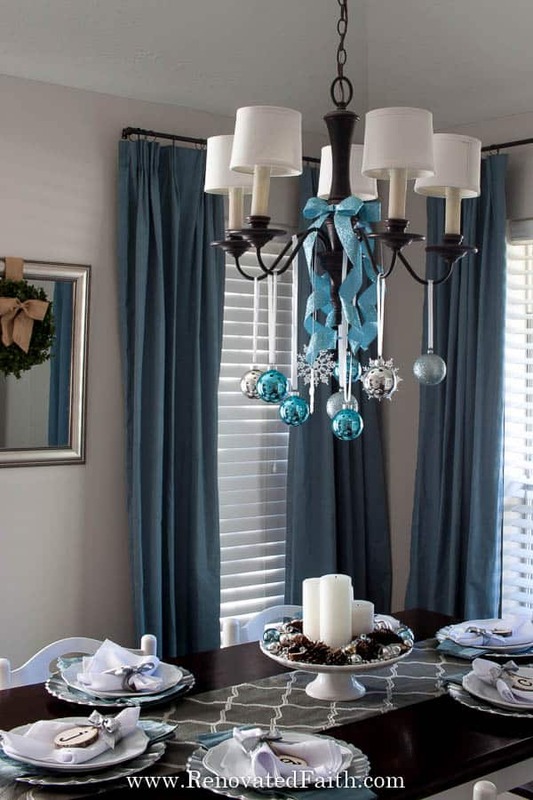 I hot-glued a bow to the top and tucked the ornament hanger into the napkin so you can’t see it. 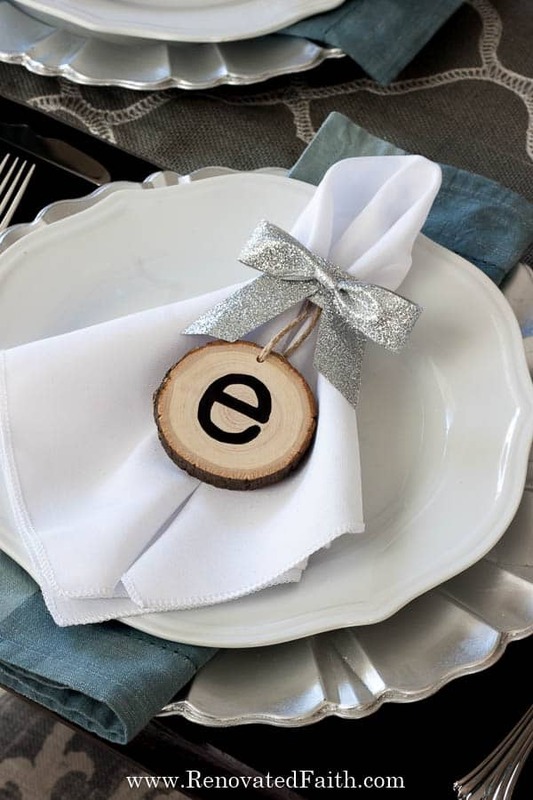 Now you have a fabulous place card for your guests that they can also take home as Christmas ornaments! 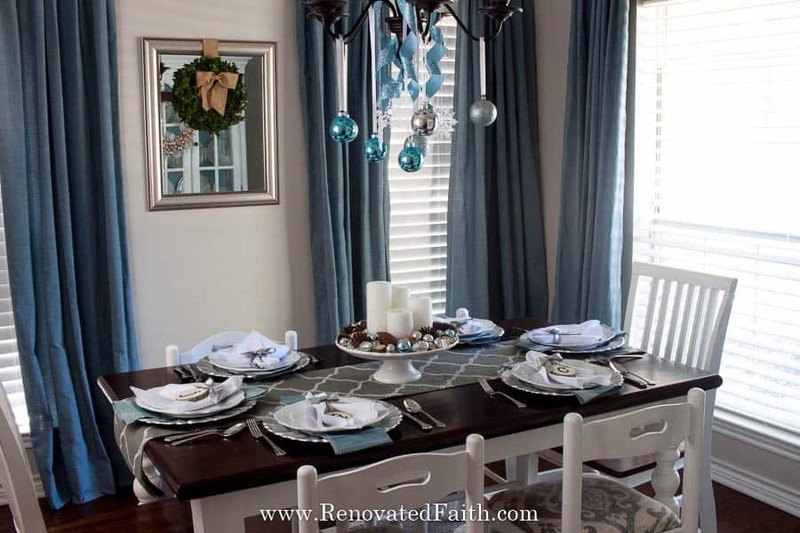 CLICK HERE for my post on Modern Advent Wreath Ideas. 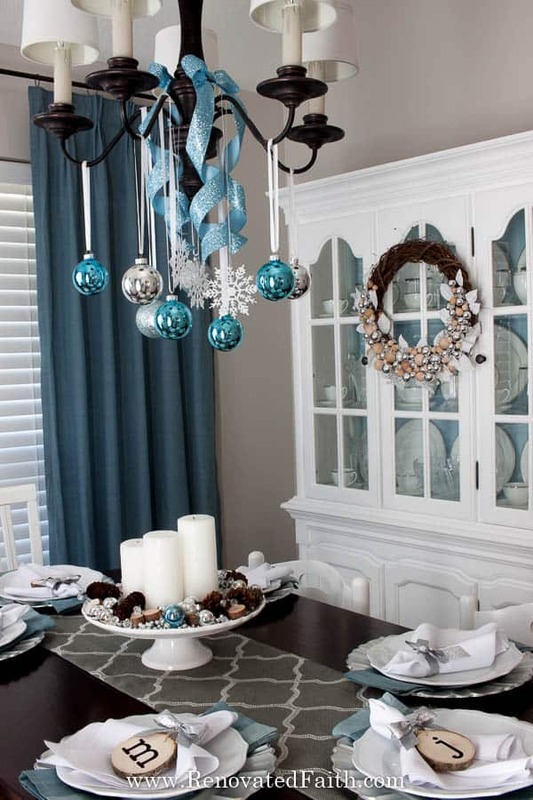 From the chandelier I hung silver and aqua ornaments which transitions well to my aqua and red Christmas décor in the living room you can see here. 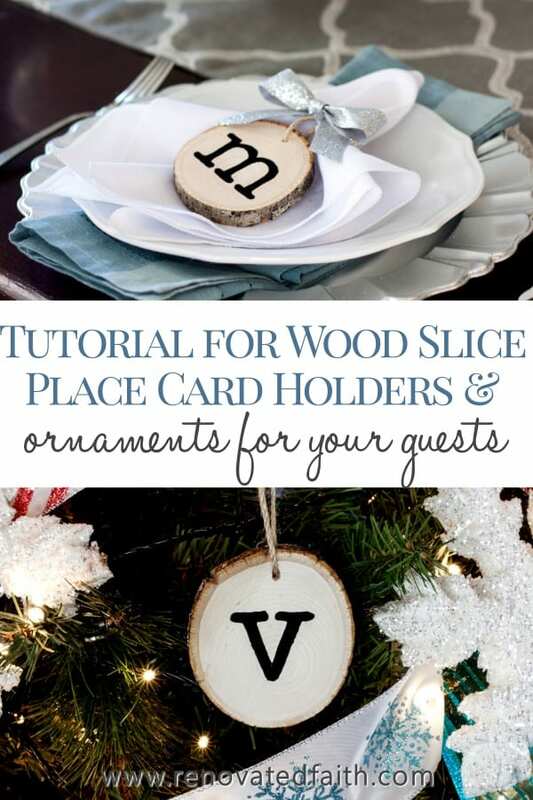 CLICK HERE to see my tutorial for the Wood Slice Place Cards / Personalized Ornaments. 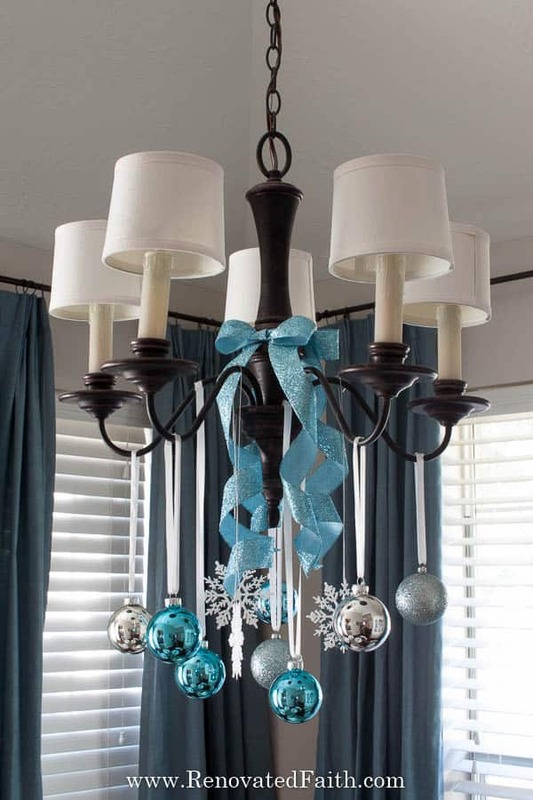 CLICK HERE for more images of my chandelier decor. 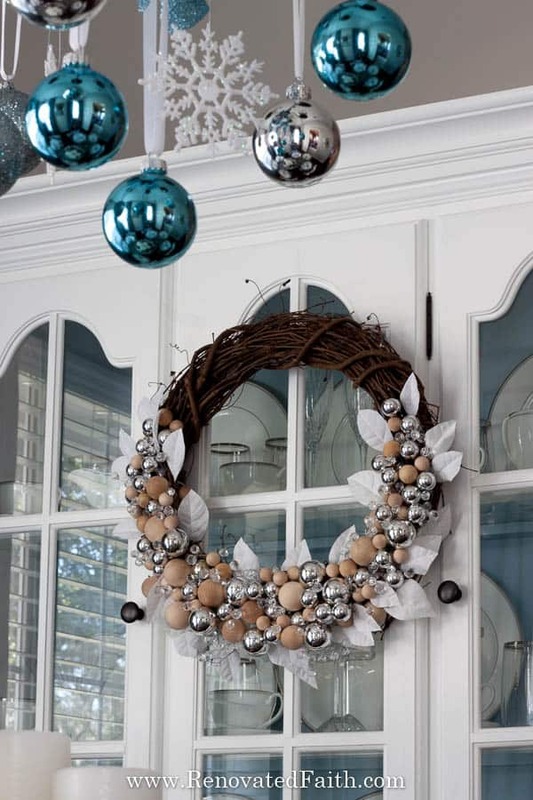 Here is used plastic ornaments and wood balls to make a Rustic Glam Christmas Wreath. CLICK HERE for the tutorial and supply list. 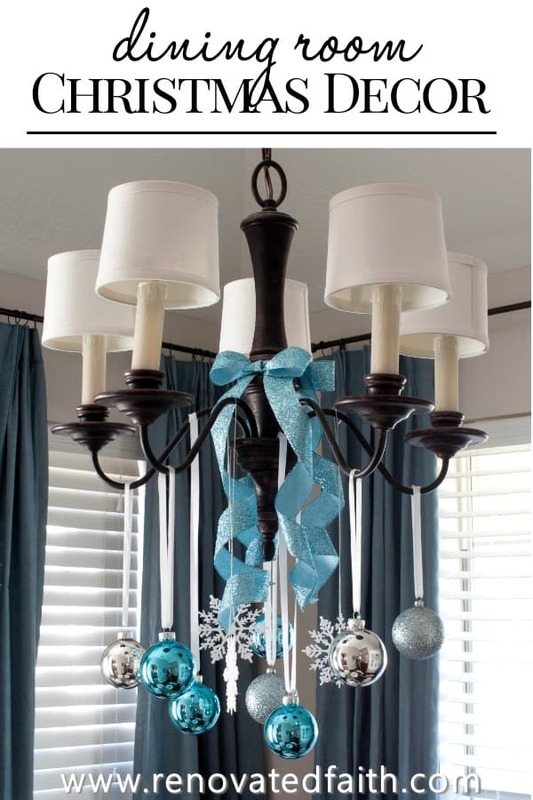 I’d love to see your ornament placecards so feel free to attach a pic to this pin showing me you tried it!